by Minna on August 8, 2017 in Events, News. 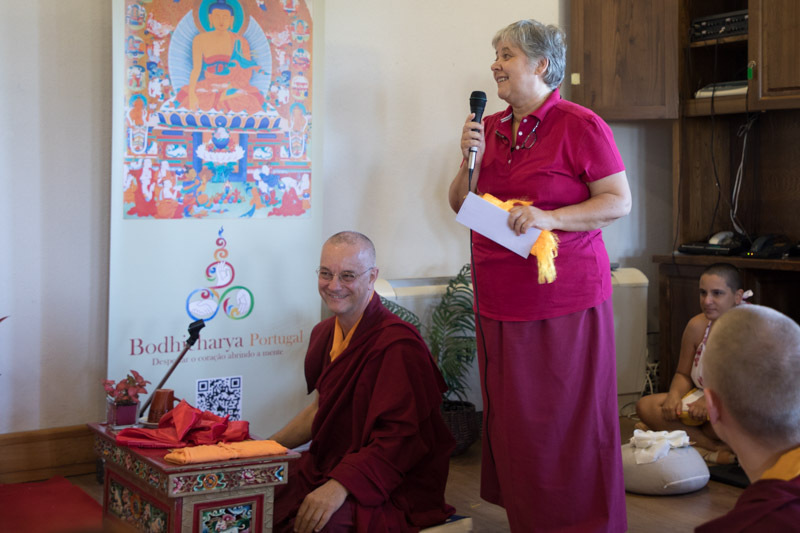 Using the deity as meditation practice, in particular White Tara, was the topic for this years summercamp held for the 6th time in northern Portugal. The venue was once again Casa da Torre near Vila Verde, and the delightful Portugese sangha were as welcoming as ever. 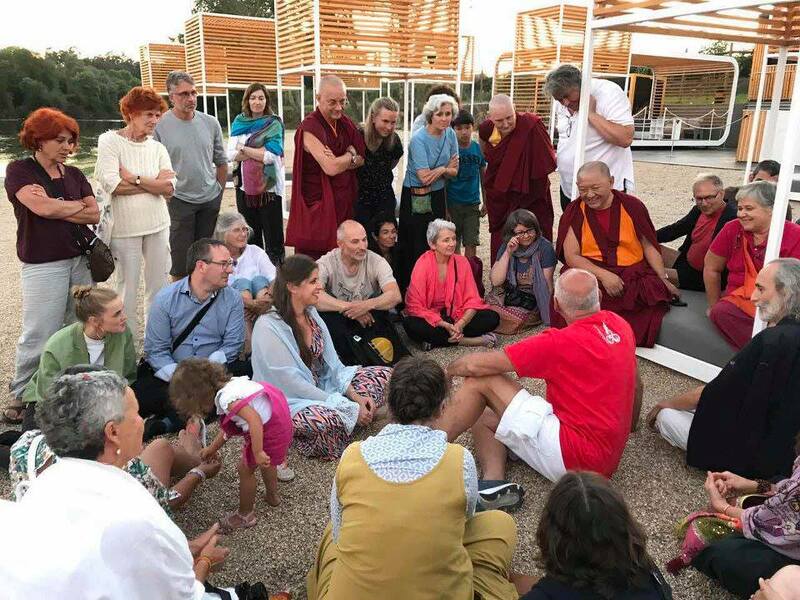 It is always lovely to meet so many now familiar faces after twelve years of Bodhicharya Summercamp retreats here and in France since 2006. 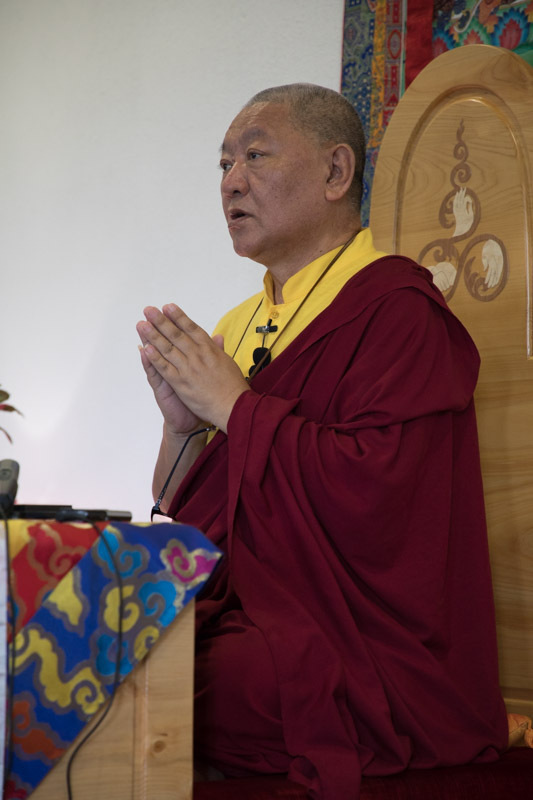 The warm weather and fresh vegetarian food laid the ground for a spiritually nourishing week with Ringu Tulku Rinpoche. 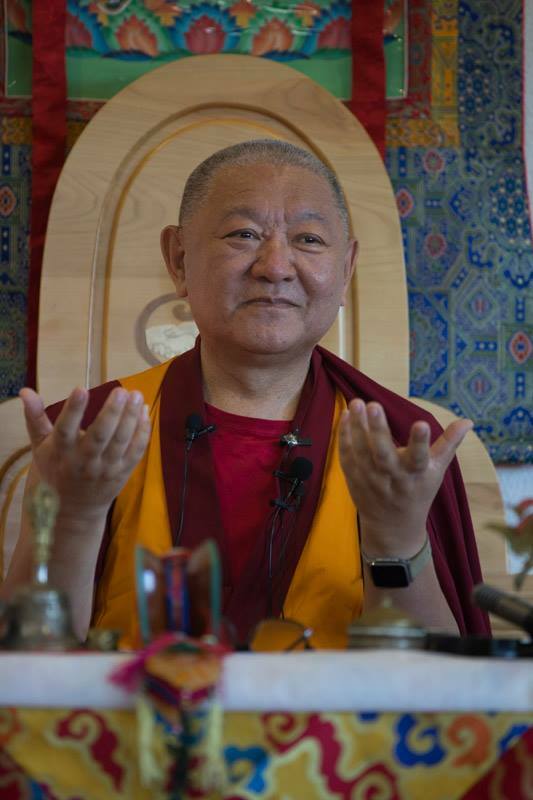 Rinpoche told us that White Tara was the first sadhana taught by the Buddha: in India, where White Tara was already a common practice, she was known as Saraswati and associated with healing and long life. 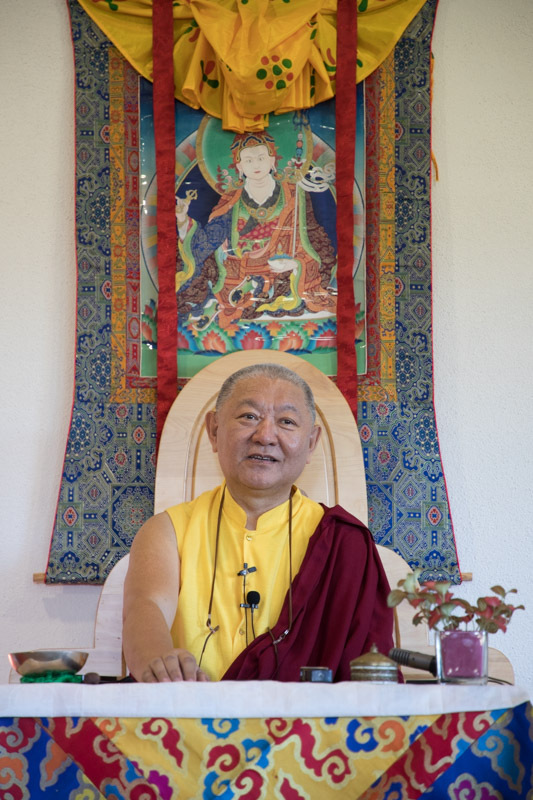 The great yogi-saint, Atisha Dipankara, felt he was guided by White Tara and believed himself to have been saved by her, and when he was invited to re-introduce Buddhism to Tibet from India, he brought this practice with him. 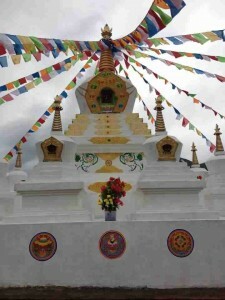 Gampopa later inherited the practice and passed on the sadhana to the first Karmapa, Dusom Khyenpa. 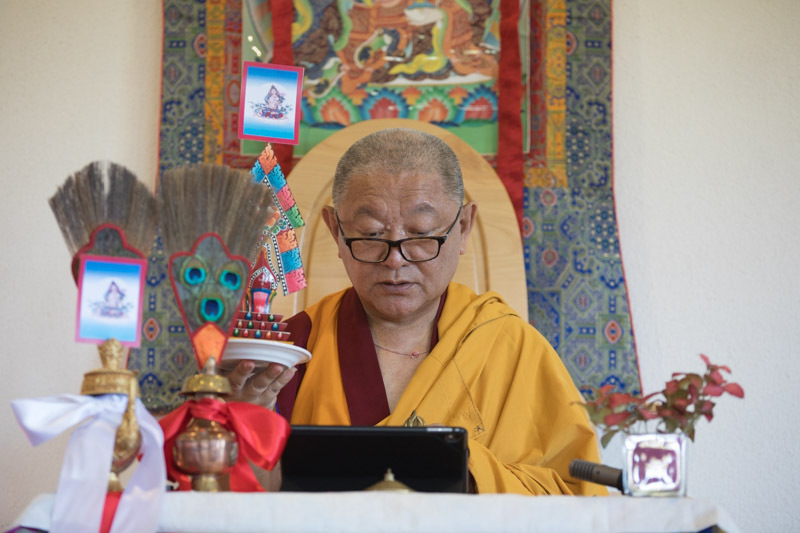 Since then White Tara has been regarded as an important bodhisattva in the Tibetan school of Vajrayana Buddhism and this particular sadhana has been recited throughout the entire Karmapa lineage until today. by wangdu on February 3, 2017 in Events, News. 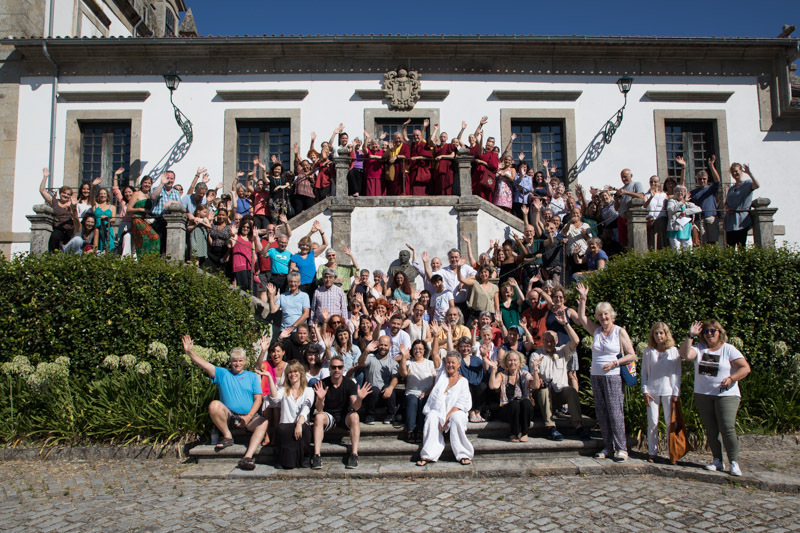 The 2017 Bodhicharya Summer Camp will again be held in Portugal. The chosen place is a Christian retreat house, in the North of Portugal. The facilities are excellent, with single and double rooms with twin beds. Vegetables and fruit are grown by the community itself and taste absolutely delicious. There is a river, at a short walking distance away, where one can swim or just refresh oneself. There is a fluvial beach and a small terrace, perfect to sit, relax and enjoy a drink. Participants may also relax and enjoy the activities available around the centre. 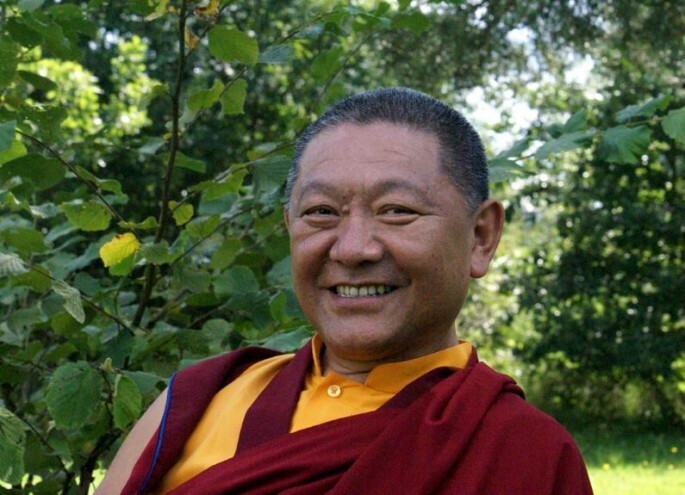 Summercamp 2016 with Ringu Tulku Rinpoche – In August! by wangdu on June 18, 2016 in Events, News. The teaching subject for the summer camp has now been announced. 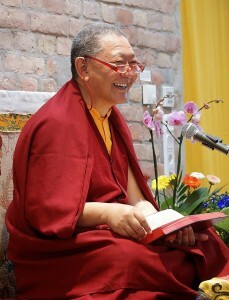 The subject will be ‘Ney Ju Rig Sum‘ instructions of Mahamudra and Step by Step Training on how to visualise. No preparation and text needed. 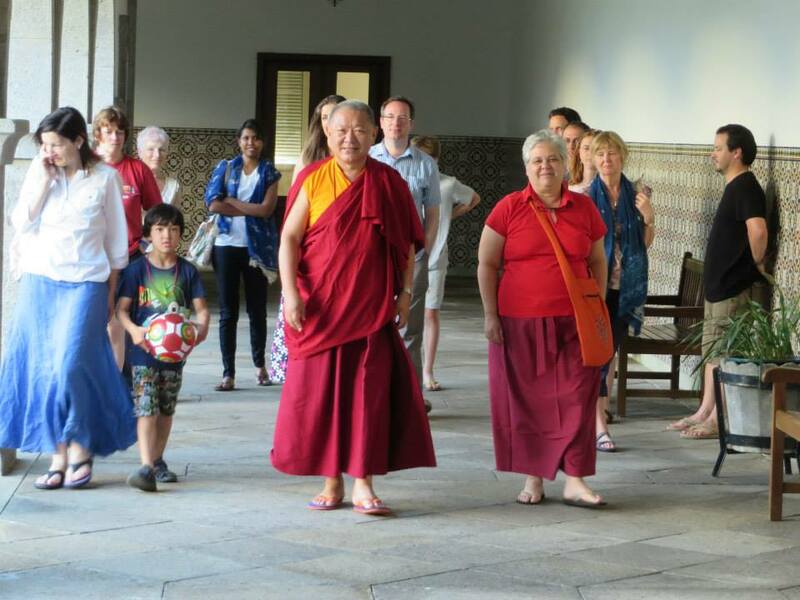 After the previous years’ success, in 2015, the Bodhicharya Summer Camp will again be held in Portugal. The chosen place is a Christian retreat house, in the North of Portugal. The facilities are excellent, with single and double rooms with twin beds. Vegetables and fruit are grown by the community itself and taste absolutely delicious. There is a river, at a short walking distance away, where one can swim or just refresh oneself. There is a fluvial beach and a small terrace, perfect to sit, relax and enjoy a drink. Participants may also relax and enjoy the activities available around the centre. by wangdu on January 15, 2016 in Events, News. 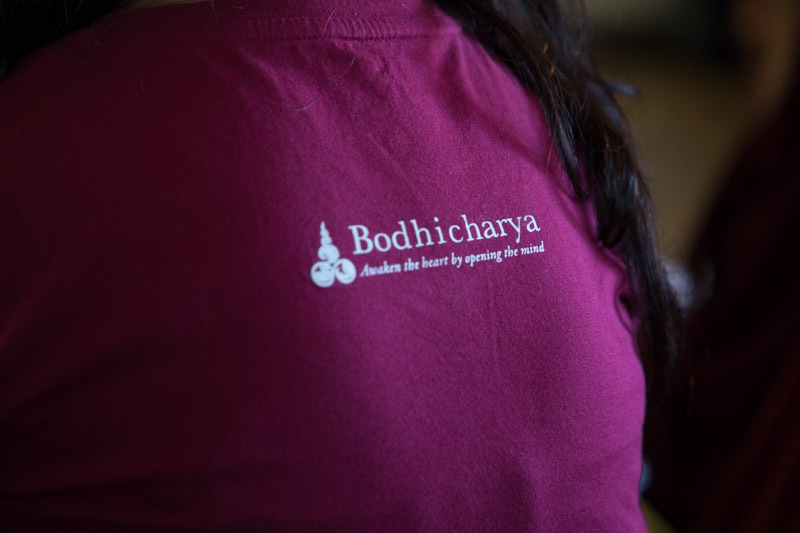 Registration is now open for the Bodhicharya Summer Camp 2016. The dates this year are from 1st August to the 7th August and the location is Portugal. by wangdu on October 19, 2015 in Events. 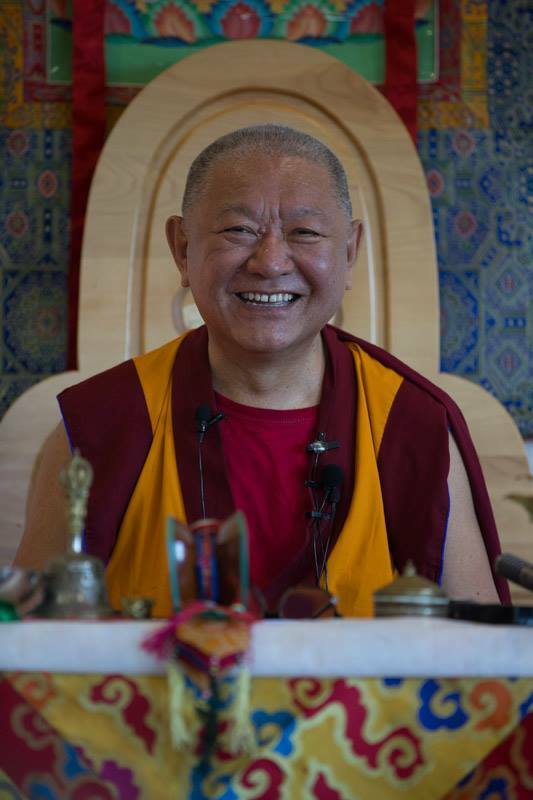 Rinpoche will be traveling to North America in November, giving teachings in Colorado, Mexico, New York, Maine, and Canada. 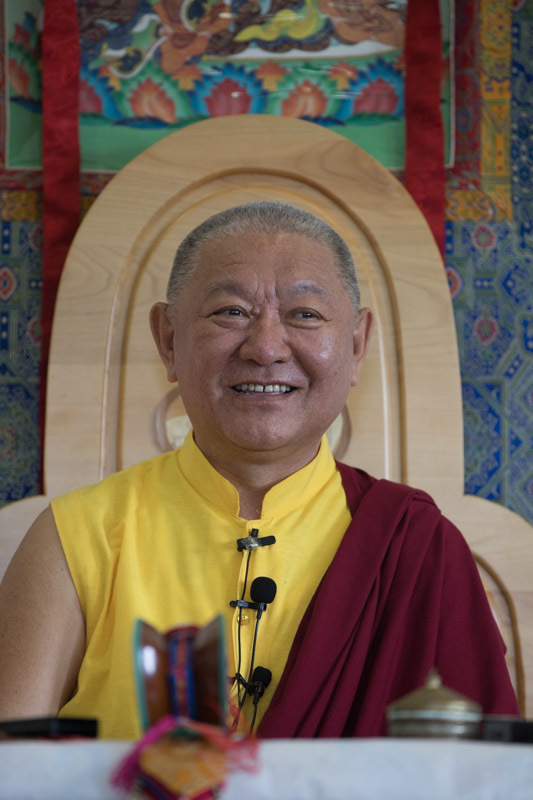 You can view the Teaching Schedule here. by wangdu on July 3, 2014 in Events. Please send your birthday card soon, so that it will arrive by July 16th! PS. It could be a postcard from your own country – maybe with some landmark, with a personal message? Then there is no need to even use an envelope. Of course, you can also make your own card if you like. 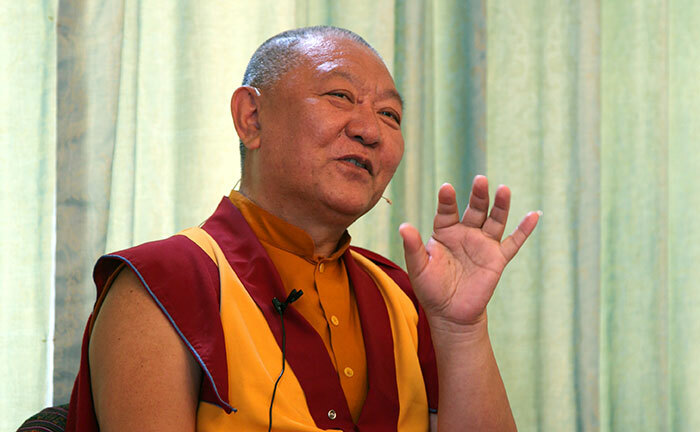 by wangdu on May 8, 2014 in Events, Karmapa, Website. 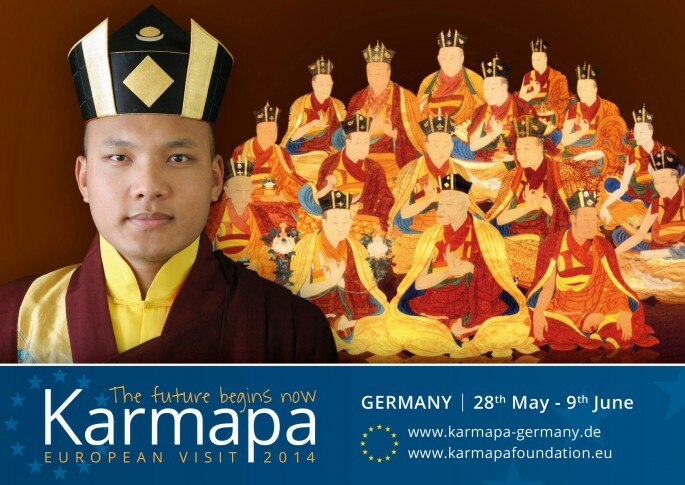 500 more tickets per event are available for the Karmapa’s visit to Berlin – we have moved to a larger hall at the same venue, the Estrel Convention Center. All tickets sold so far, as well as their categories, keep their validity.